SEOUL, South Korea – The United Nations Security Council has approved a plan by North and South Korea to conduct a joint field study on connecting their railways, exempting the project from the extensive sanctions it has imposed on the North over its nuclear weapons program, officials said on Saturday. During his three summit meetings this year with the North’s leader, Kim Jong-un, President Moon Jae-in or South Korea has offered to help renovate North Korea’s decrepit rail system and link it with the South’s, dangling the project as one of the biggest economic benefits the North could expect should it denuclearize. 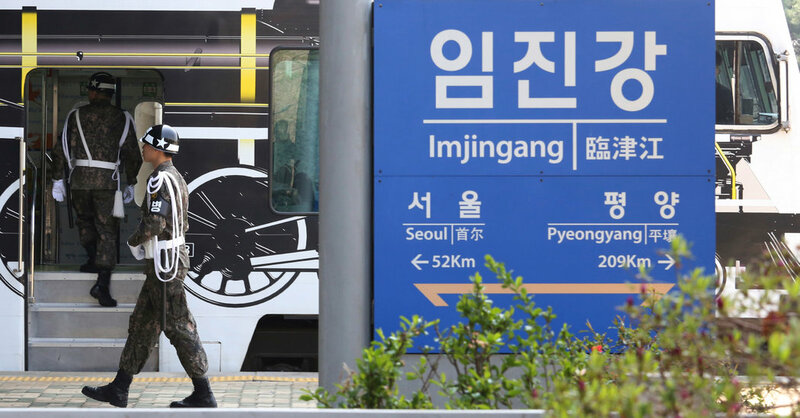 To whet the North’s appetite, South Korea offered to send a train and engineers across the border to conduct a joint field study on the conditions of the North Korean rail system. North Korea quickly accepted. But plans to conduct the study were thwarted in August, and again last month, because of American concerns that it might violate United Nations sanctions, which include severe limits on shipments of fuel and other goods to the North . South Korea would have to bring fuel and equipment into the North to conduct the study. More broadly, the Trump administration did not want its South Korean ally to push ahead with inter-Korean projects too quickly without concrete progress on denuclearizing North Korea . Last month, President Trump forced South Korea to step back a proposal to lift some of its unilateral sanctions against North Korea, asserting that Seoul could “do nothing” without American approval. The apparent discord raised fears of a rift in the seven-decade United States-South Korean alliance. This week, the allies moved to dispel such concerns by launching a joint working group to coord inate their interactions with North Korea. Lee Do-hoon, a South Korean official who attended the group’s first meeting this week, later indicated that any misunderstanding between the allies about the joint field study had been removed, saying Washington had expressed strong support for it. “If we pursue key projects between South and North Korea, we have maintained that we will do that within the framework of sanctions against the North and cooperate closely with the international community, “the South’s Foreign Ministry said on Saturday after the Security Council exempted the railway field study from United Nations sanctions. Men analytikere sier at en sådan jernbaneforbindelse ville være en enorm opgave, der kræver omfattende tillidsbyggende samtaler mellem Nord og Sør og milliarder av dollar til renovering. Det vil også gi en snarvei for innføring av russisk olje og andre naturressurser. The North’s decrepit rail system, not to mention the lifting of international sanctions. The two Koreas briefly connected short stretches of railway across their border in 2007, but further efforts to reconnect the systems were suspended as the countries’ relations soured over the North’s nuclear pursuits.